Put your player info, video and calendar at the fingertips of every college coach. Simplify college recruiting, track activity with coaches and join our Recruit Finder. Limited time launch offer! Get 1 free year - save $108! 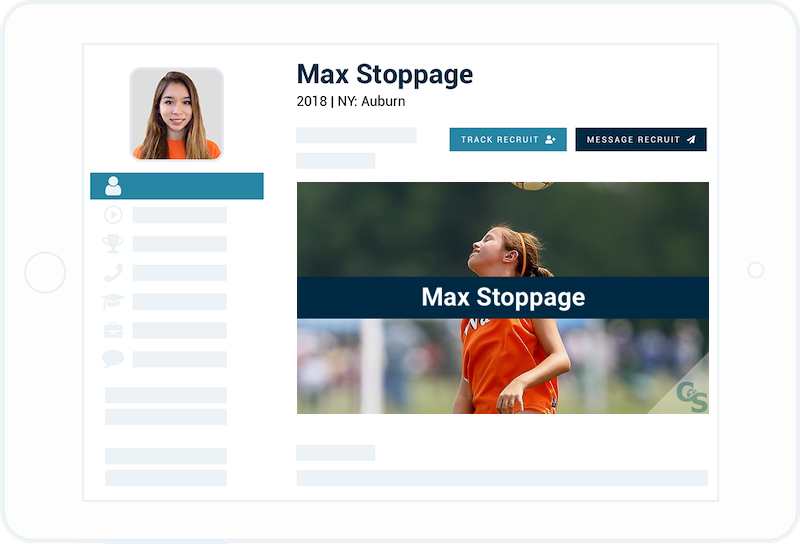 Send professional messages that organize all your player info in one place. Our editors zoom the play without losing quality by adjusting the frame size.